Product categories of New Bucket Elevator, we are specialized manufacturers from China, New Bucket Elevator, Low Damage Bucket Elevator suppliers/factory, wholesale high-quality products of Grain Elevator R & D and manufacturing, we have the perfect after-sales service and technical support. Look forward to your cooperation! The New Bucket Elevator is a new type developed model compare with DTY Bucket Elevator. Its design similar with Japanese Satake Type, with lot of advantages. 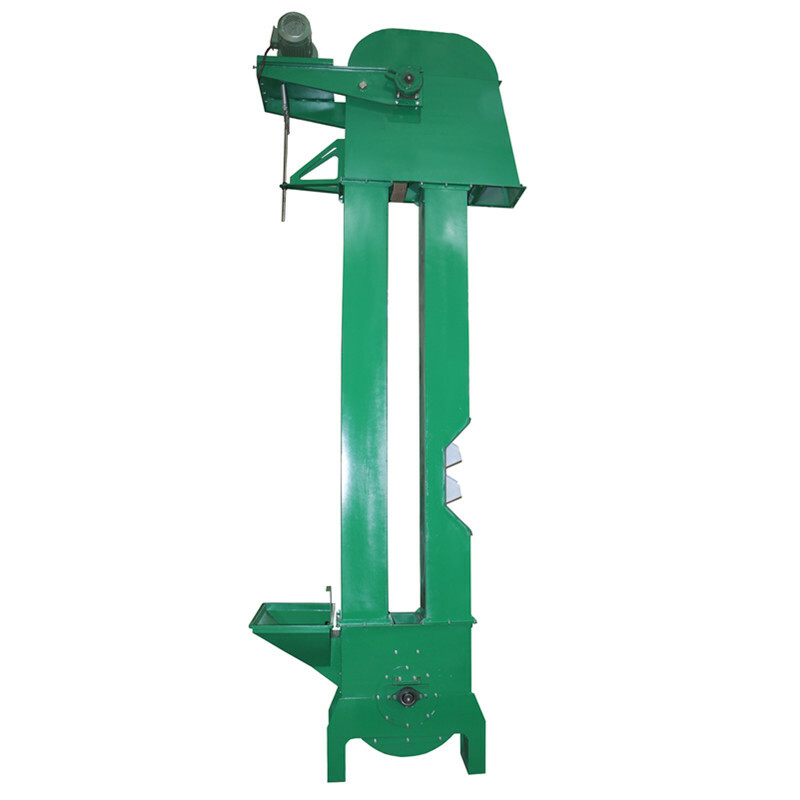 it is widely used for continuous vertical lifting for granular materials, such as wheat, maize, sesame, kidney beans, chia seed, quinoa seed etc. It extensively applies for the lifting of bulk stocks in feeding stuff plant, flour mill, and grain depot of different scale. 6. Automatic adjusting equipment for belt tightness/loose.